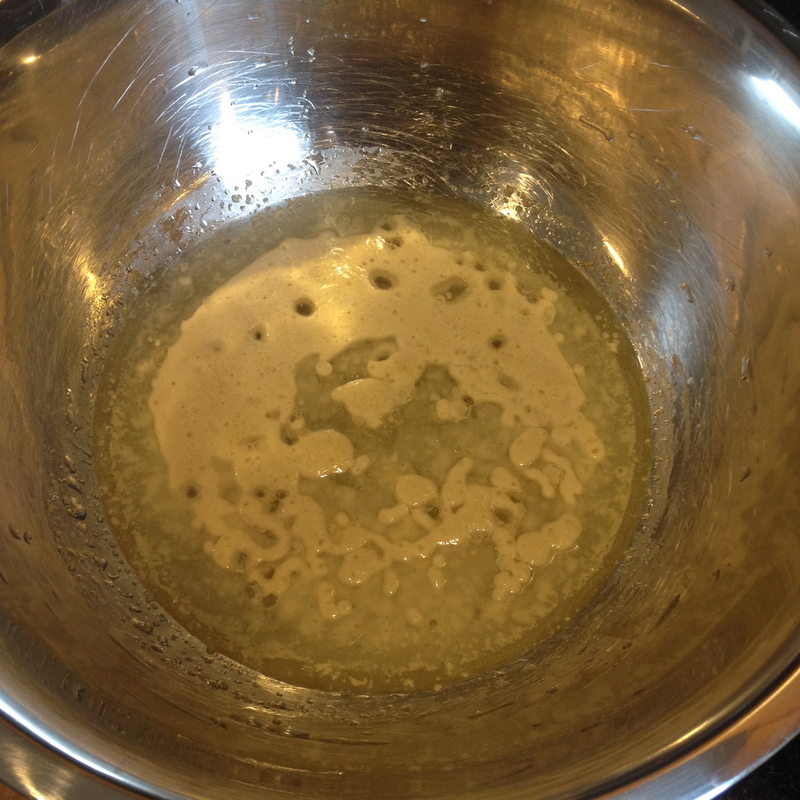 In a large bowl (or bowl of your electric mixer), mix water, sugar, oil and yeast. Let stand for about 15 minutes until mixture is bubbly. Stir in salt and egg. 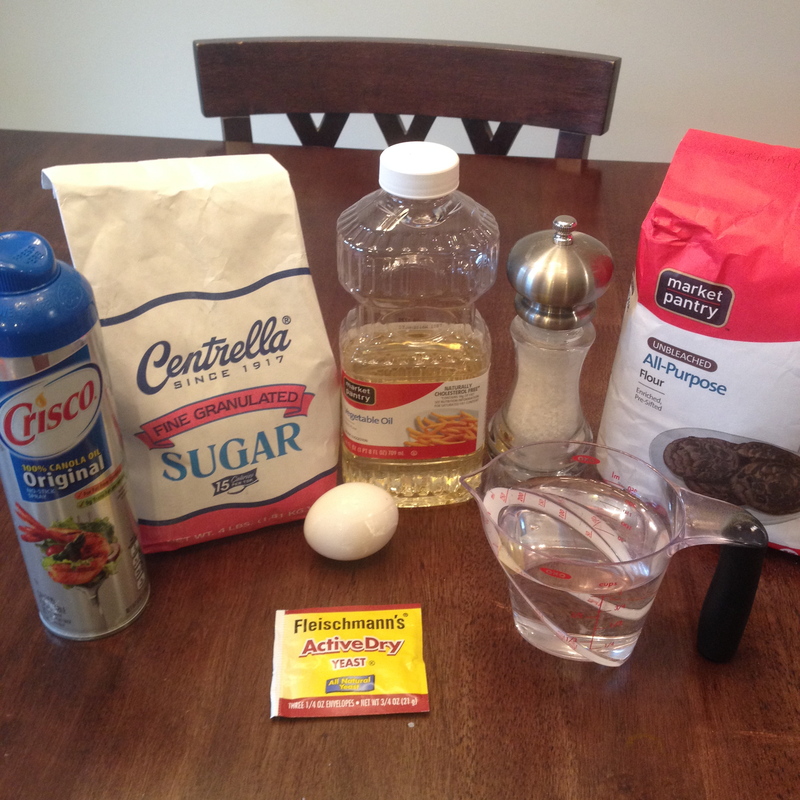 If you are using an electric mixer, use the paddle attachment. Gradually add flour. The dough should be sticky, but manageable. I found this amount of flour to be perfect. 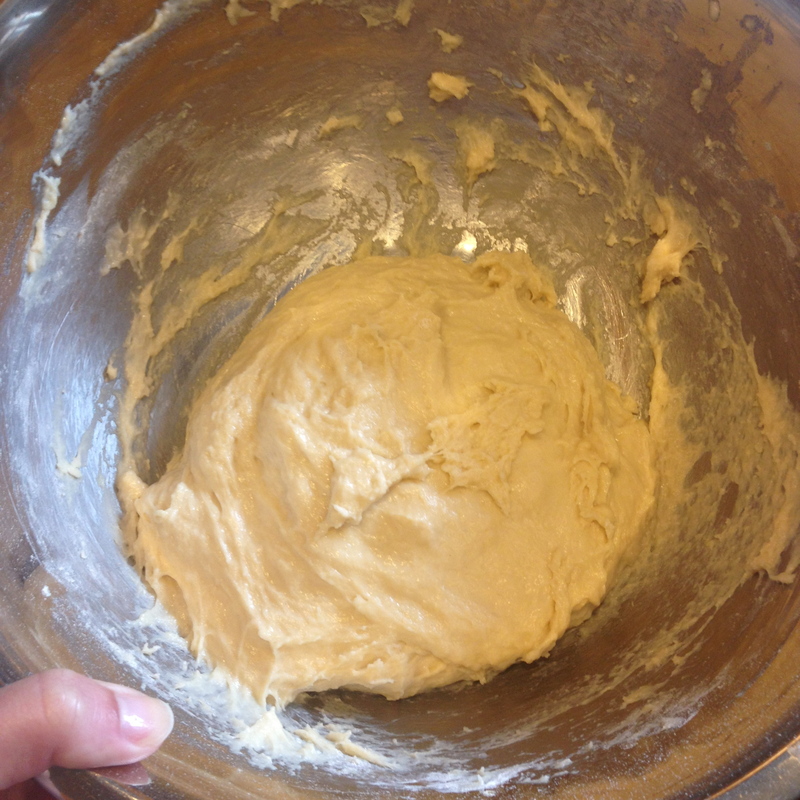 Let the dough rest in bowl for 10 minutes. Spray a baking sheet with non-stick cooking spray. Also spray your hands. 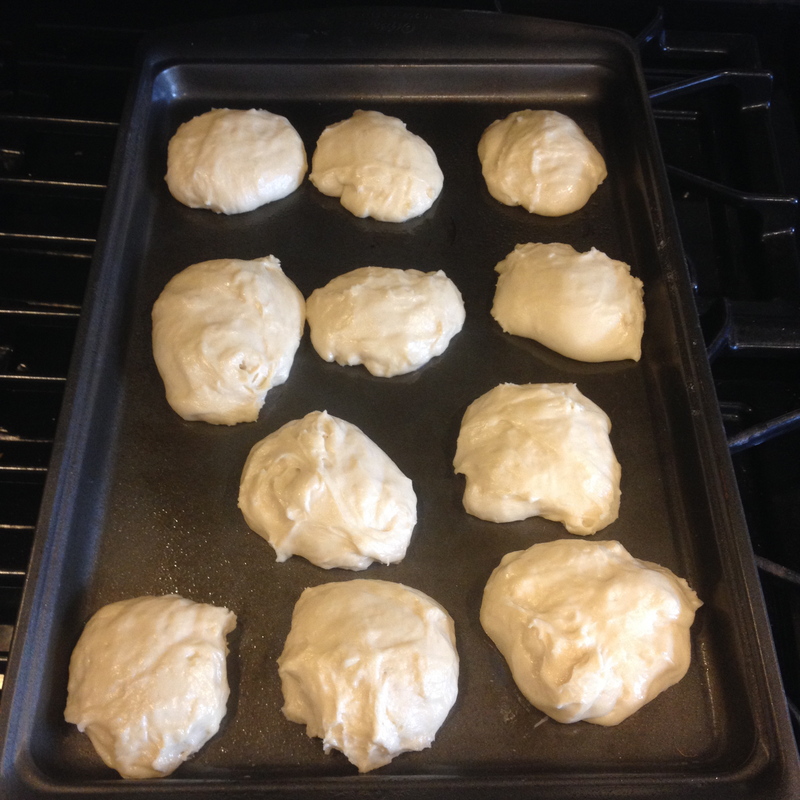 Form dough into balls or as close to balls as you can, and place on baking sheet. I mean, look at mine! Not perfect at all. Once they are baked, they will get a better shape. Let rise for 20 minutes. Preheat oven to 375 degrees fahrenheit. 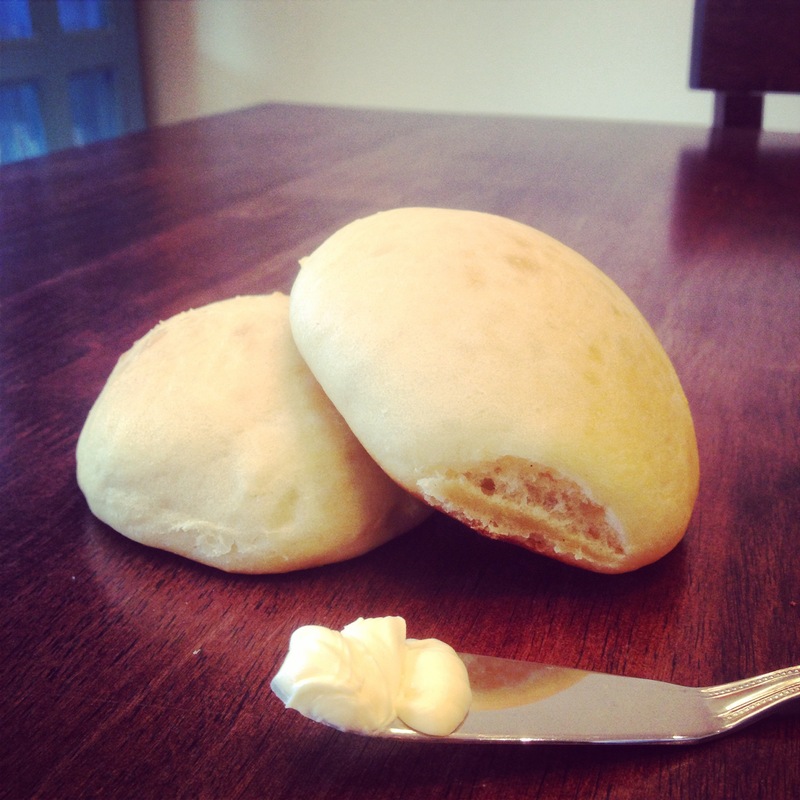 Bake rolls for 10 minutes, until the tops are lightly browned. 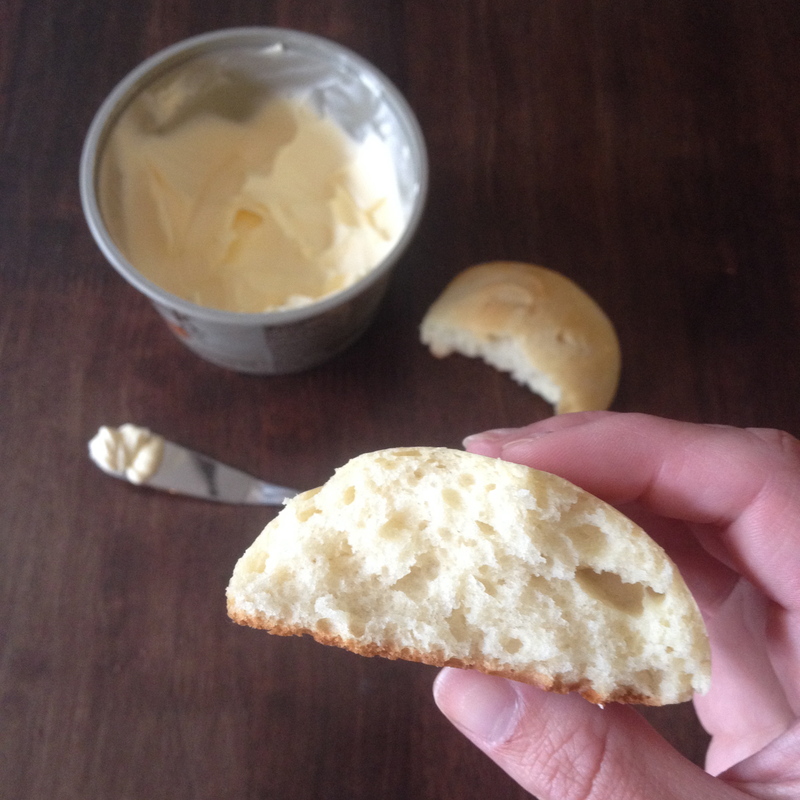 Serve warm with butter, jam, honey or plain! Enjoy! You had me at “no kneading required.” I will definitely try this!